You’ve got the airline tickets to San Francisco, your clothes packed and your guidebook at the helm, but how much do you really know about San Fran, aside from the fact it has a really famous bridge? San Francisco is a vibrant and flamboyant city of art, fun, food and culture. Here is a guide to who, what and where in order to experience the authentic culture of San Francisco. San Francisco is a holiday hot-spot for foodies, and to get a taste of San Fran dining at its best, look no further than Pier 39. With more than 18 hectares of attractions and entertainment, including over 300 shops and numerous restaurants, Pier 39 is one of the city’s most visited areas, for tourists and locals alike. Restaurant highlights include the Crab House, Fog Harbor Fish House and Pier Market Seafood Restaurant. If you’re thirsty, check out the Wines of California wine bar or go craft beer-tasting at Beer 39. With loads of parking and plenty of security, it’s a great place to take the whole family. It also offers some spectacular photo opportunities with awesome views of the Golden Gate Bridge and Alcatraz. San Francisco’s 24 blocks of Chinatown is a flurry of culture and activity. The largest Asian community outside of Asia itself, Chinatown is pretty much a city in its own right, complete with a couple of hospitals, a handful of churches, a number of parks and a few squares. If you’re a fan of Asian cuisine, you’ve come to the right spot because the food options here are endless. As well as playing host to a huge number of restaurants, Chinatown has street food stalls located on almost every corner. The churches are also worth a visit, particularly Old St. Mary’s, California’s first cathedral, which was built in 1854. If you really want to kick it with the locals, the best place to do it is in Golden Gate Park, where San Francisco residents carry out their regular exercise regimes and kick back and relax away from the pressures of urban life. Golden Gate Park is over five kilometres long, making it the largest man-made park in the world, and with its numerous museums, including the recently reopened De Young Museum, and stunning flower gardens, it’s a great place to spend a day with the family. If you or your partner is partial to a bit of physical activity and want to make some quick local mates, there is always an open-source basketball game going on at the eastern end of the park. Other fun things to do for Kiwis include a spot of fly-fishing, a bit of biking or some skating. You can rent equipment from a variety of places throughout the park. 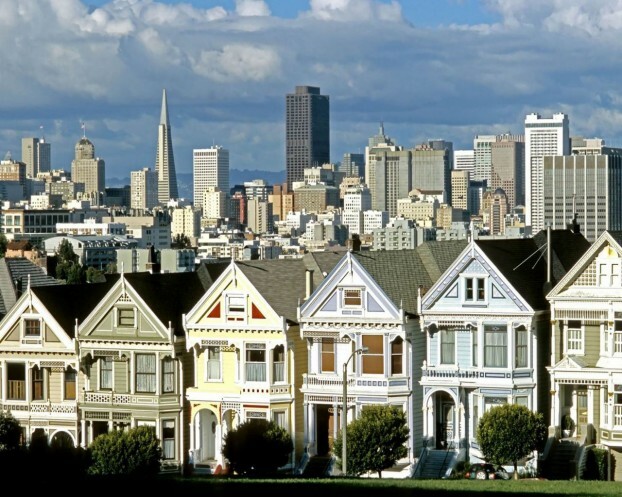 San Francisco is renowned for having one of the most prominent gay communities in the world. To get a glimpse of this scene, and insight into what many would call the “real” San Francisco, look no further than the flamboyant neighbourhood known as “the Castro”, one of the first openly gay neighbourhoods in the States. The Castro, aka the Castro District, is home to a large gay population, as well as an abundance of gay history. Key tourist attractions include the Gay, Lesbian, Bisexual Transgender (GLBT) History Museum; Twin Peaks, the first gay bar in America to have clear rather than covered windows; and the Pink Triangle Park, which was built in memory of the gay prisoners persecuted by the Nazis in the Second World War. About the Author: Margie West is a Kiwi travel writer with a love of all things American; including her husband, Pete. Margie and Pete spend a couple months of every year exploring a different part of the States. To date, Margie estimates she has seen 80 percent of what America has to offer!